I recently bought some yarn that can’t seem decide what it wants to be. 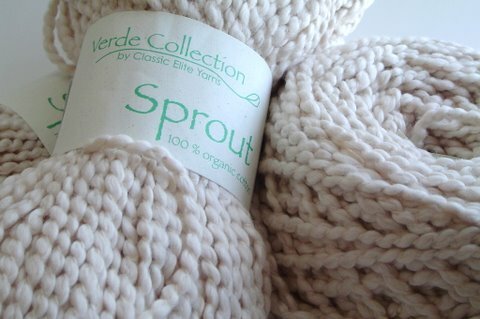 It from Classic Elite Yarn’s Verde collection… called “Sprout” – Bulky organic cotton. 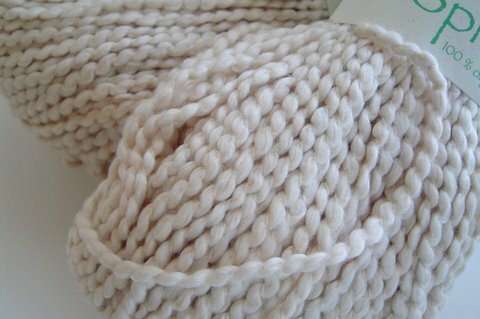 When I was a beginning knitter, I used to get nervous about knitting cotton because I kept hearing that it wasn’t as forgiving as wool as far having memory and such so I was slow to start using it and slow to come to appreciate it. I still don’t use it a lot, but I’m learning to enjoy working with it. 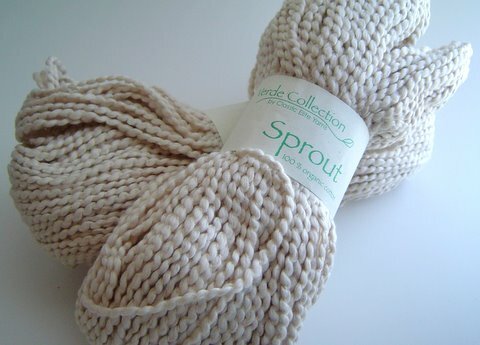 Case in point: This is some very lovely yarn, has lots of texture and character and I like how it knits up. Nonetheless… I’ve had to rip out twice. First it wanted to be washclothS … then placemats … who knows what’ll be next. Sounds like me trying to decide on a major in college. I hope it gets over it’s identity crisis soon.